Design interactive learning with no limits. Freedom to create (no hacks required). With Blocks, you’ll never have to choose between what’s best and what’s possible again. Get analytics on any content you design—never wonder how it performs. Check completion rate and average score with Stats, and see where everyone is by face with Radar. Stats and Radar come with every Pathwright account, just like Blocks. 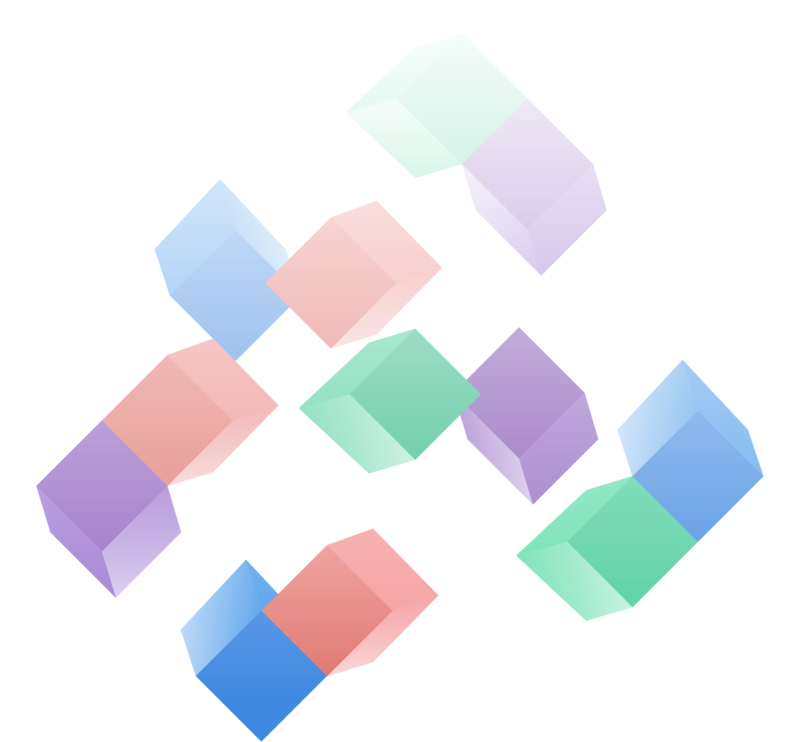 Blocks helps you design the best learning experience possible instead of limiting your options. 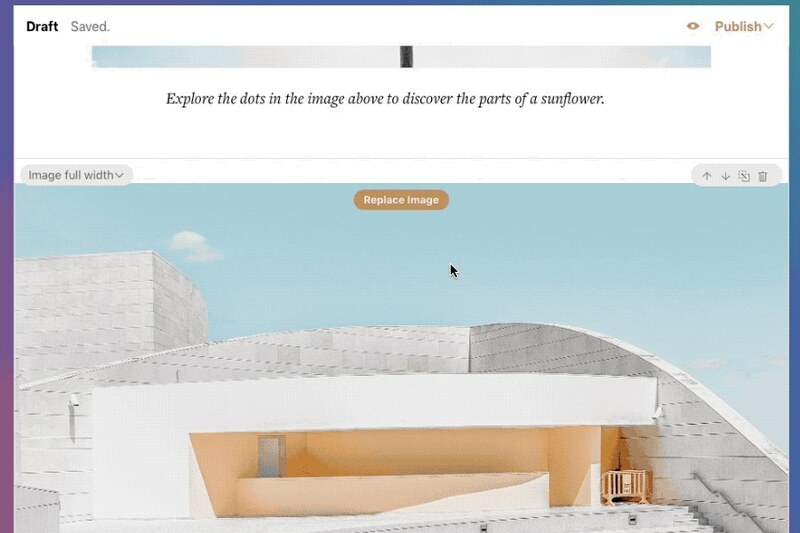 Snap together great-looking layouts and interactive exercises that get the most creativity out of your content. Design content without a learning curve. One click to choose a block, one click to edit, one more to reorder. You’ll be a pro in under a minute. Keep learners engaged with interactive content designed for their active brains. 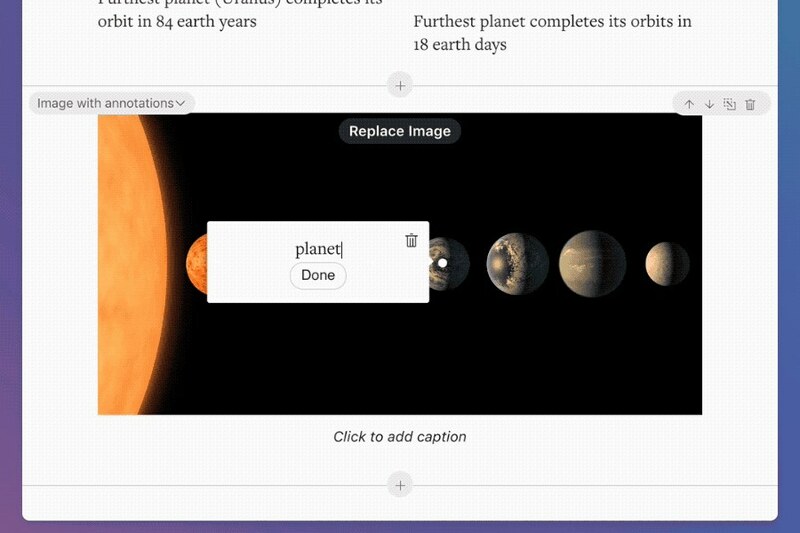 Exploration-based blocks like Annotated Images and Flashcards keep learners in active mode instead of zoning out. 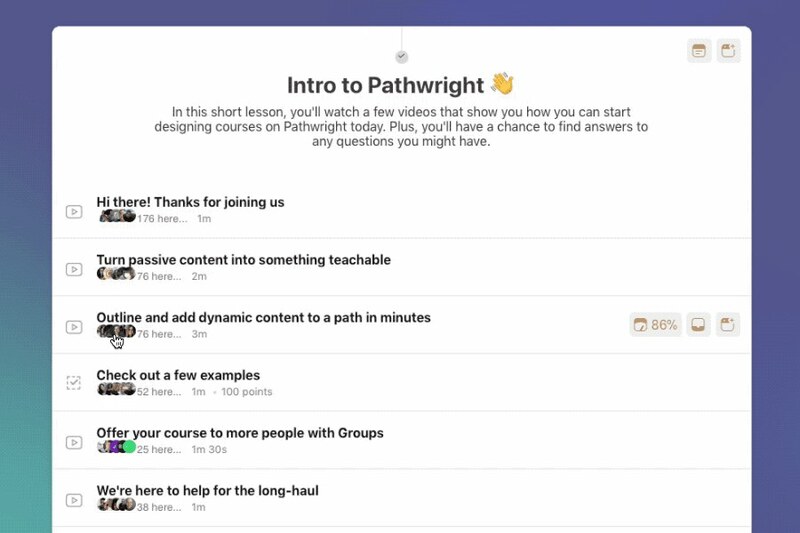 Blocks is seamlessly integrated with every Pathwright account. Blocks streamlines content workflows, saving you time at every step. Any block can be reused and copy-and-pasted by anyone on your team. 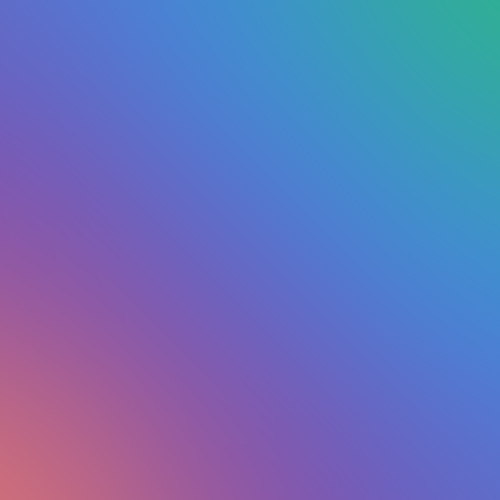 Blocks is a complete framework of tools for interactive content design. It delivers a polished design and learning experience on desktop and mobile. We’re developing more blocks all the time—Blocks just keeps getting better. Set quotes apart as beautiful block quotes with an image or without. Put text in expandable tabs or accordions. Add annotated or full-bleed images, put images next to text or text on top of images. Put images in nicely-designed carousels, two-column, or three-column layouts. Embed externally hosted media like YouTube or Vimeo videos. 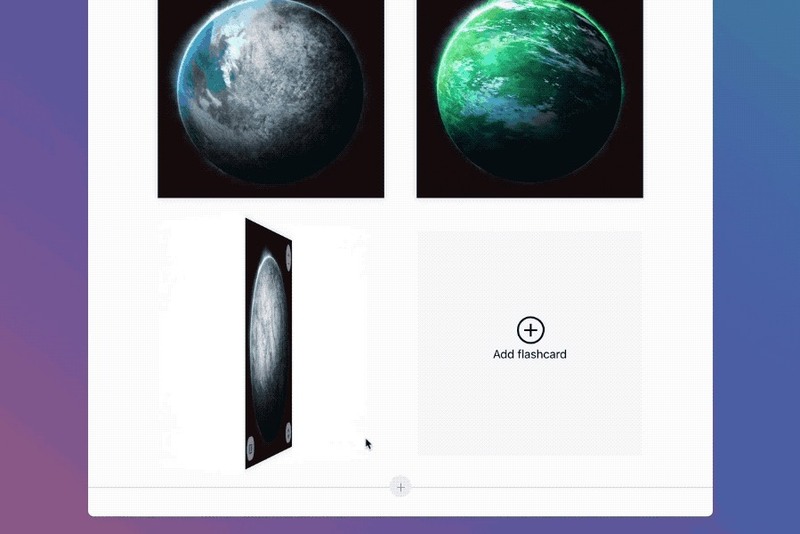 Use large titles with dividers or on top of images. Break up the pacing with horizontal dividers, dots, and spacers. Flippable front-and-back cards you can add text and imagery to for quick reviewing. Encourage responses with paragraph, multiple-choice, and checkbox-style questions.